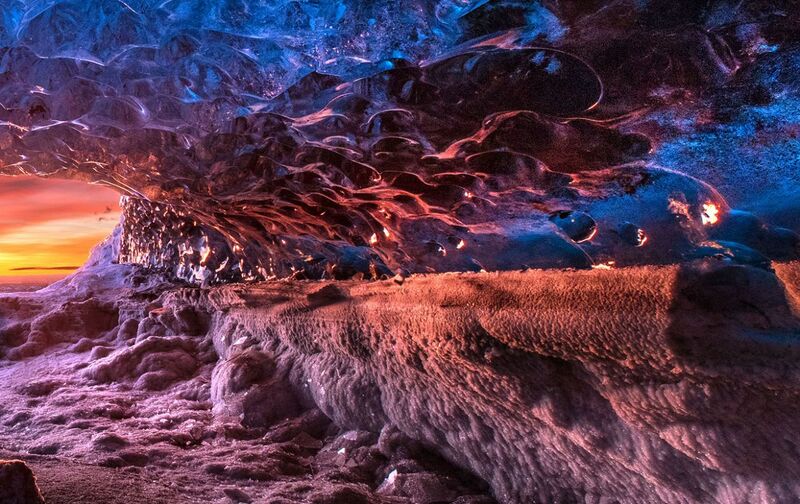 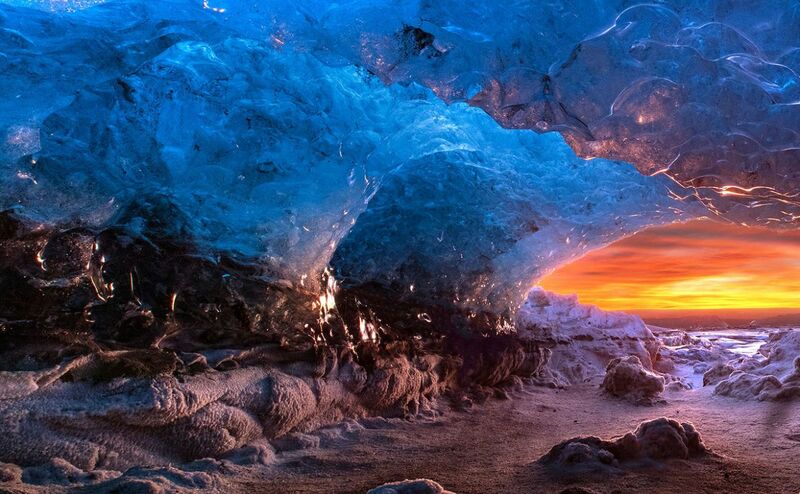 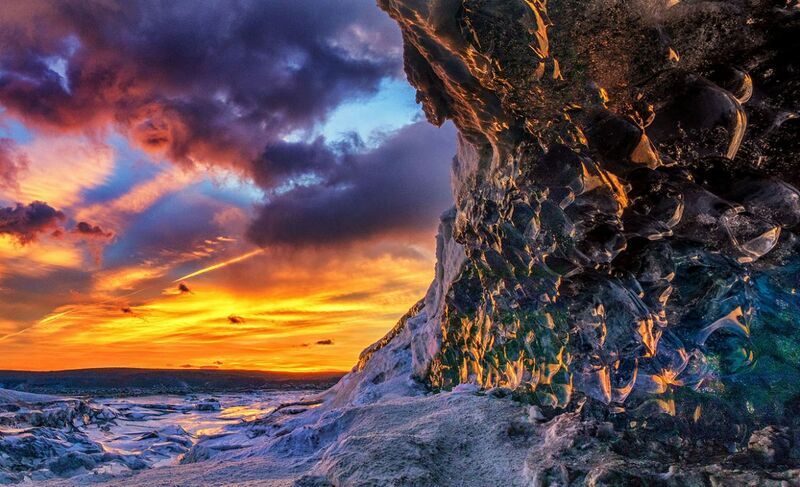 Stunning photos from inside the glistening underground spaces show a warm orange glow spreading out across the horizon. 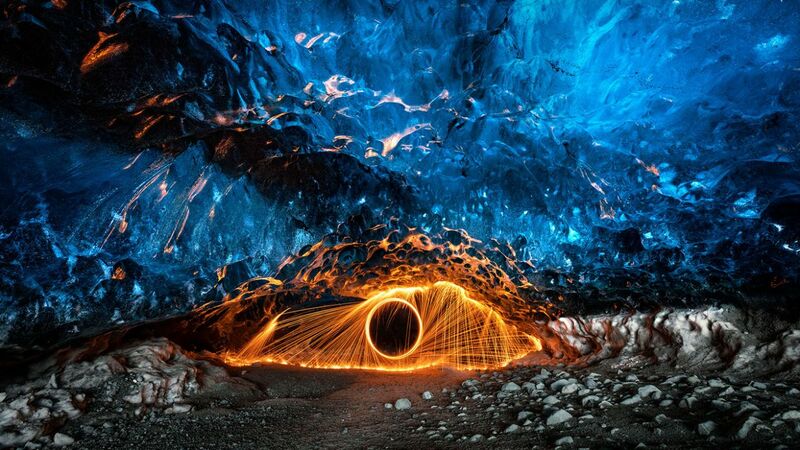 The bright sunlight streaming in bounces off the deep blue of the cave walls, warming its frigid interior. 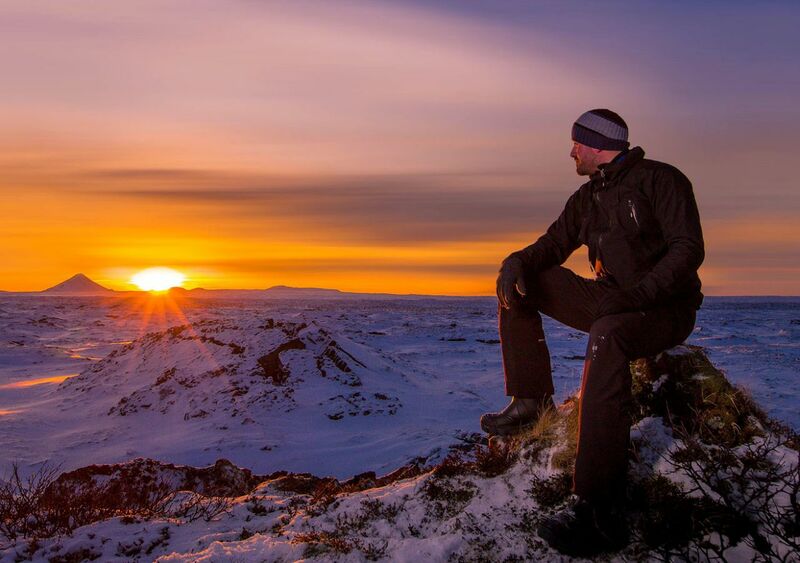 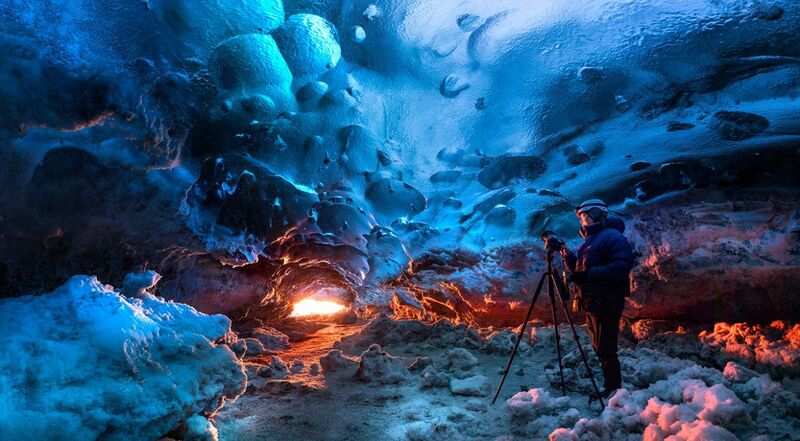 The pictures were taken on January 2 at Iceland’s Vatnajökull glacier, fully reflecting the country’s reputation as the Land of Ice and Fire. 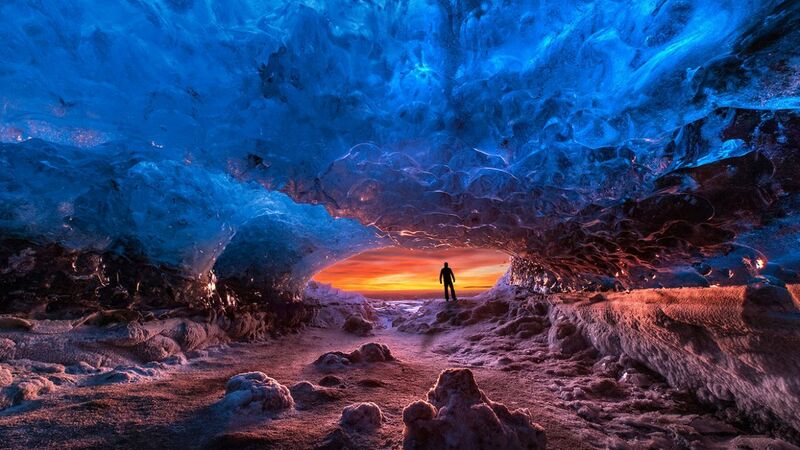 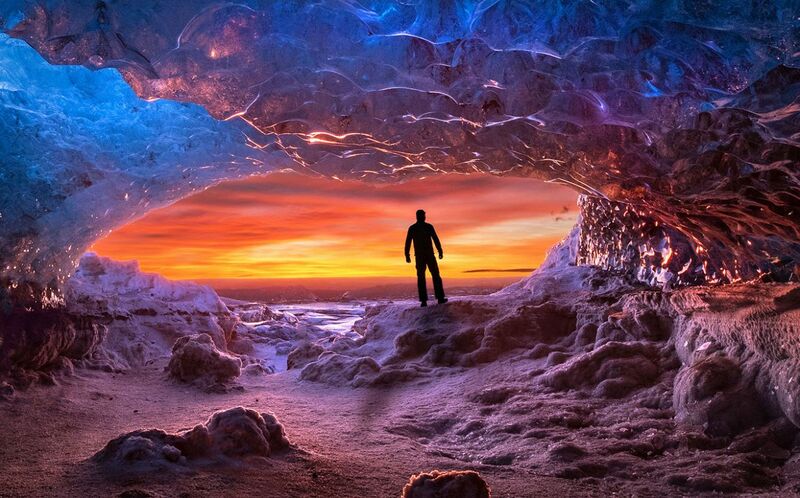 Photographer Sigurdur William Brynjarsson even managed to silhouette himself in the cave entrance for one of the most striking shots.